Below is the electric bicycle laws in different countries around the world. The laws are written in a straightforward fashion so you will not have to dig inside the complicated and hulking government's laws. For caution purposes, if you have any doubts regarding any one of laws, please consult with other peoples and do your own investigation. The laws can change from time to time, I may have made a mistake and even Wikipedia is not bullet proof. If you didn't find your country in the list above, maybe you can find it at the Wikipedia - electric bicycle laws page. I'm not a lawyer so the data that is shown here shouldn't be used as a legal advice. As I said above, in any doubt, it is best to consult a professional. Before purchasing a new pair of electric bicycle, it is best to check the laws regarding the use of electric bicycles in your place of residence. Each country has different laws regarding which e-bikes belong to the category of bicycles and as such don't require insurance, tax and etc and which e-bikes belong to a non-bicycle (ex. moped) category and therefore don't have the same privilege. Obviously, not paying any insurance or tax is a significant benefit and it's one of the reasons why the electric bikes are so cheap to operate. The laws regarding e-bikes are generally reasonable. The authorities don't want you to become a danger to the public and you probably also don't want to use a vehicle that would risk your life. If you plan to buy your e-bike from one of the main brands, it is usually safe to say that it complies with the law. You should be more careful if you buy from an unknown import, especially from China. Also, be aware of the guy in the street corner who try to sell you a kit without any certificates. The amount of different e-bikes terms is huge. Just to give you a clue, here are some of the terms: PA, PABs, PAS, Pedelecs, LEV, EVB, EPAC, E-PED, EV, E2WV, BEV. And this is just a partial list, I can easily add more! The only common thing between all the laws is the requirement for the existent of pedals. Countries like the United States, Canada, Australia, Japan and Europe's countries all have different laws and regulations for the use of electric bikes. On the one hand, it would have been much better if we had more standardization around the world. But on the other hand, different situations may require different laws. For example, at mountainous countries, the legal maximum motor power should be higher then in flat countries. The typical 250W motor power, which is what permitted by the EU law, is usually not enough for going up a steep hill for a non-fit person. Another example, in Europe, the law require riding a pedelec. But in countries with high humidity, applying such a law may not be such a good idea. Beside the different countries laws, even different country's states and provinces sometimes have variations to the laws, which could make understanding the law even more confusing. The best advice is to check with your local authorities about the exact laws and regulations. Manufactures probably have quite a hard-time designing their line of electric bicycles for world-wide distribution. They have to install different motors, controllers and maybe even batteries in order to adjust the e-bike to the different laws. You can't just install a 250W motor on a bicycle that was designed to be used with a 1000W motor. Designing an e-bike is not just taking an on off the shelf bicycle and put a motor on it. A good athlete can produce about 300W of power for a couple of hours. A non-athlete can produce about 100W. For a very short bursts, an ordinary non-athlete human can produce even 750W (about 1 hp) of power. This is fascinating for sure, but why am I telling you this in the law section of the website? Well, we have to understand that a 250W, 500W or 750W power output is not going to change the bicycle behavior dramatically. An e-bike is not a motorcycle, it just doesn't belong to the same category. An electric bicycle comes first and foremost to augment the human power and not replace it and most e-bicyclists do pedal. 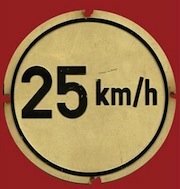 When writing that the legal maximum motor power is 250W, what does it mean? Does it the on-going continuous power or does it the peak power? In most cases this legal limit refers to the continuous power output. Most motors can give maximum output for a minute or two, but they'd melt if asked to do it all day - just like a cyclist. 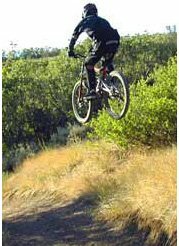 The maximum power is more useful than the continuous power as a guide to the way a bike will climb a hill. So the amount of power which is usually stated on the e-bike can serve only as a rough guide to the true maximum power output. And let's go further a little bit. It's obvious why the laws are putting limitations on the maximum speed. But some of the laws don't include the maximum speed limit, instead they put a power limit. Isn't it like putting a restriction on the amount of horse-power a car can have instead of making rules regarding the speed limit on different roads? Beside the main topics of speed and power. The laws also deals with things like helmets, weight, minimum age and more. Many rules which are applied to conventional bicycles are the rules that are applied also to electric bikes. All in all, most laws are reasonable. They ensure that the e-bike would be able to integrate with the conventional bicycles on the bike lanes, with the pedestrians on the sidewalks and even with the cars on the roads while offer many benefits in each one of this areas.